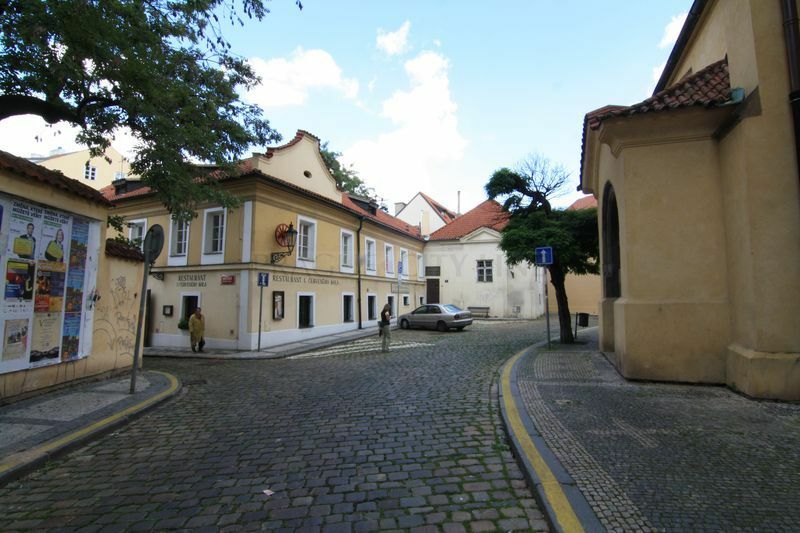 Our today´s walk towards significant monuments of Prague will take us to the Old Town again. 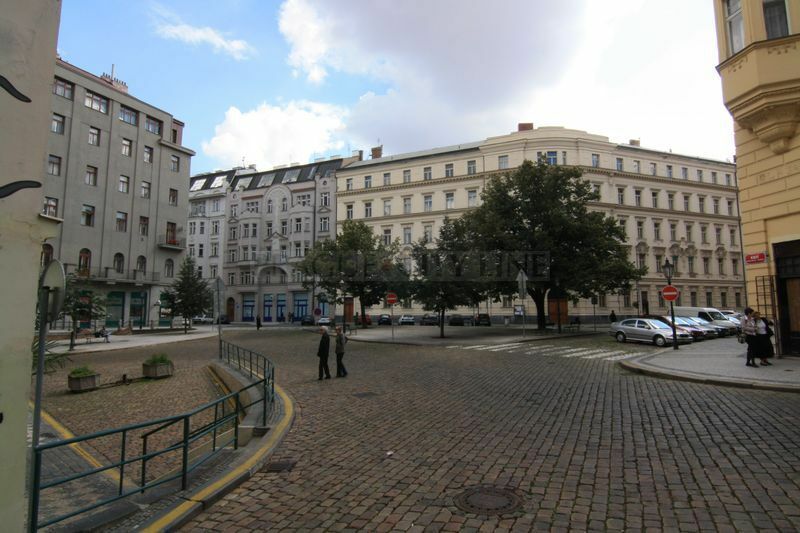 If we go in the north direction from Dlouhá road or through the west side from Revoluční road we will get to so-called Haštalská čtvrť (Castullus Quarter/ Prague district). The name is however not quite official because it was derived from the parish settlement of St. Castullus Church(kostel sv. Haštala). Let´s not hesitate, the Gothic church is already waiting for us. 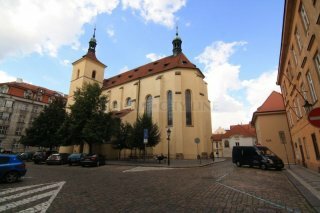 The main point of Haštalské náměstí (Hastal/ Castullus Square) is a forty-meter-high prismatic tower attached to the Gothic church which comes from the 14th century. 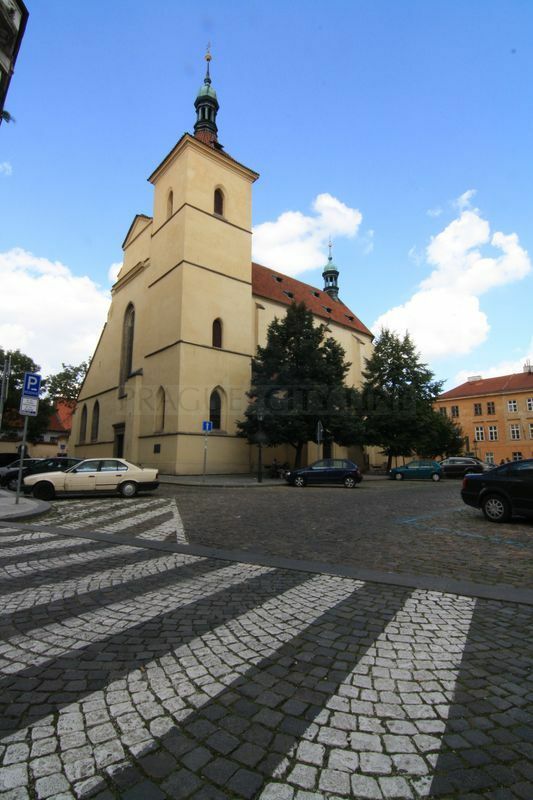 The church received a remarkable Baroque modification later in the period 1689-1695. Another rarity is to be found inside the church. A two-aisle hall with the slender columns and rib vaults were built here. 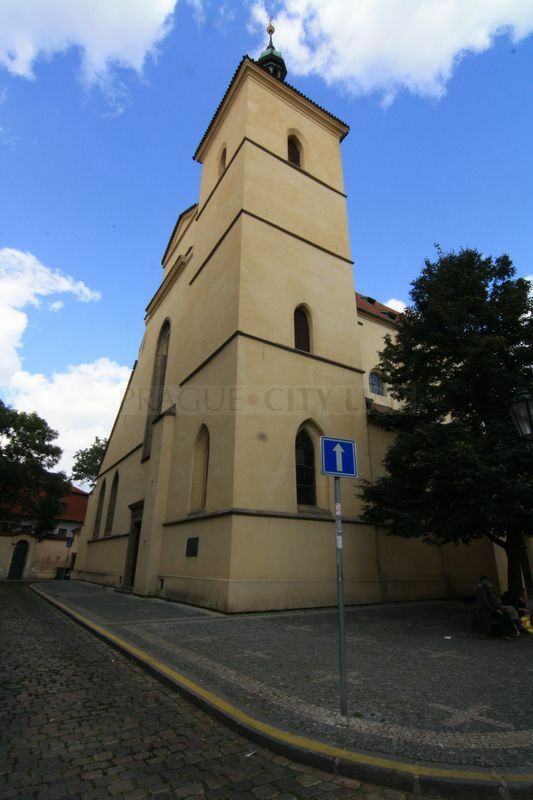 This structural element is distinguished as the finest manifestation of the Prague´s Gothic architecture. So if we count well during our visit we will get the total of four aisles. The church went under the hospital of the Convent of St. Agnes(sv. Anežka) for some time which was located in the neighbourhood. There were many questions concerning the founding of the church. It was most probably founded by the order of the German knights. The church used to be surrounded by a graveyard – it is where the present square is located. But it ceased to exist in 1832. The church was built in the 14th century as a three-aisle basilica at the place of the former Romanic church. The church gained its Baroque appearance due to the fire which affected the monument in 1689. Also the interior received the Baroque elements – the gorgeous equipment such as the St. Anne´s altar with the painting by J. P. Molitor or a group of statues „The Calvary“ by F. M. Brokoff from 1716 have survived from this period. Of course we need to mention another very important element, i.e. the remains of the Gothic wall paintings from the end of the 14the century located in the sacricty, the paintings „The Cricifixion“ and „The Last Supper“ from around 1500 and the tin baptistery from 1550.